"Mommy, what's the words?" It seems like every time we pick up a book these days this is the first question I get. My 4 year old twins are so excited to learn to read, and I'm sharing their enthusiasm by reading with them every chance I get. And when I can't, I'm helping make their screen time count with some awesome (and FREE) interactive story apps. For kids who love to read like mine, these apps are a fun way to interact with favorite books and learn to recognize words and phrases. We've found a few favorites and I can't wait to share them with you! 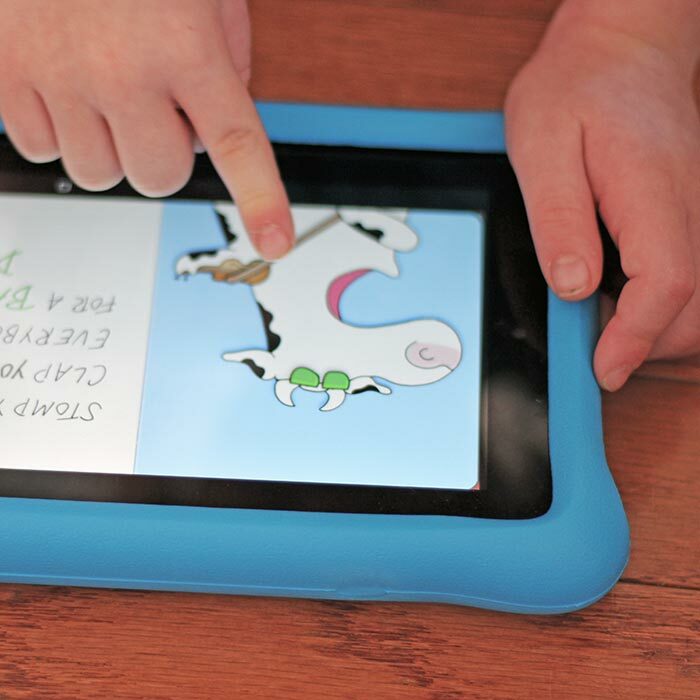 Screen time for kids is always a balance. 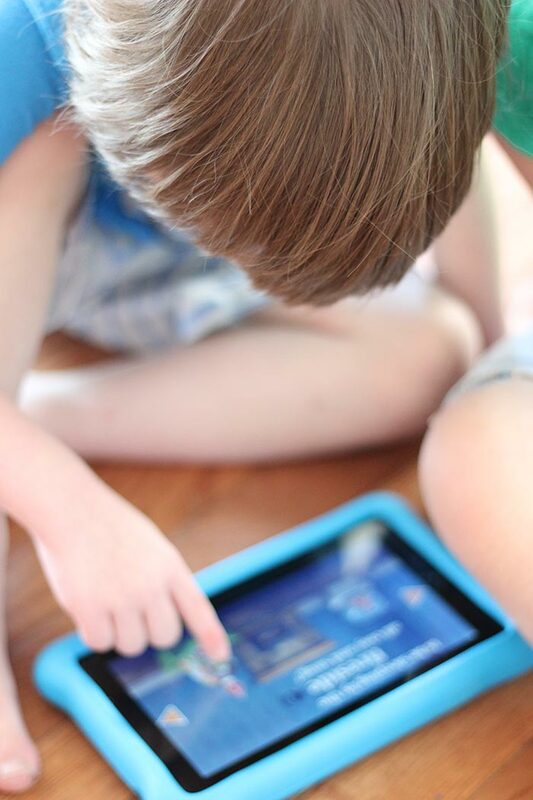 I do allow my boys to have screen time, but when they are using screens I want them to be doing something that is engaging and helping them to learn. Since books and reading are such an important part of our lives, when they can spend screen time exploring or interacting with a book, I'm all for it. I also want to be sure that the apps that they are using are 100% free. I don't need to have a surprise bill arrive with lots of in app purchases that my 4 year olds have made. That's why I was so excited to discover Amazon Underground. 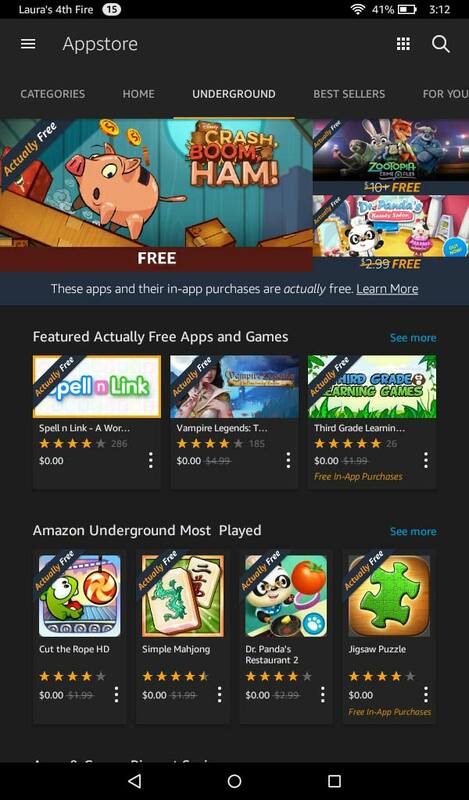 Amazon Underground is an amazing section of the Amazon Appstore that has over 3,000 free apps and games that are actually free. This means there's no hidden costs or in app purchases. It's free, plain and simple. As a mom, I love that I can let my kids explore the apps in Amazon Underground without having to worry about the cost. Finding Amazon Underground's free apps is easy. We use a Kindle Fire, so all I have to do is go to the Amazon Appstore and click on "Underground". Then I can search and browse the 1000's of apps with the "Actually Free" banner and know I won't have to pay a thing. And the content is amazing! You can also access Amazon Underground on your Android smartphone by clicking here. 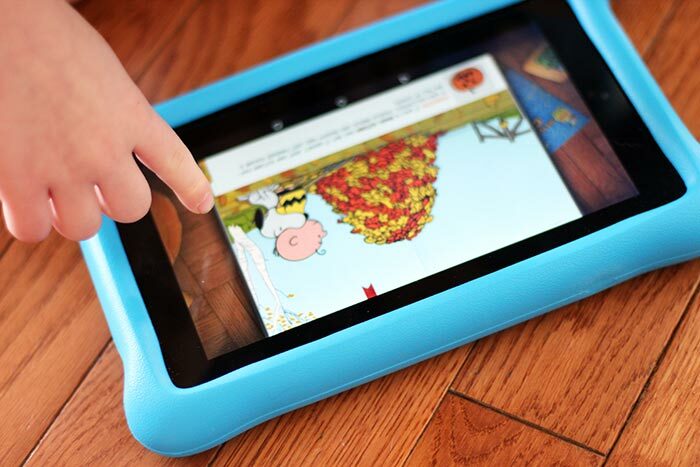 Our favorite part of Amazon Underground is the fantastic selection of interactive books for kids. 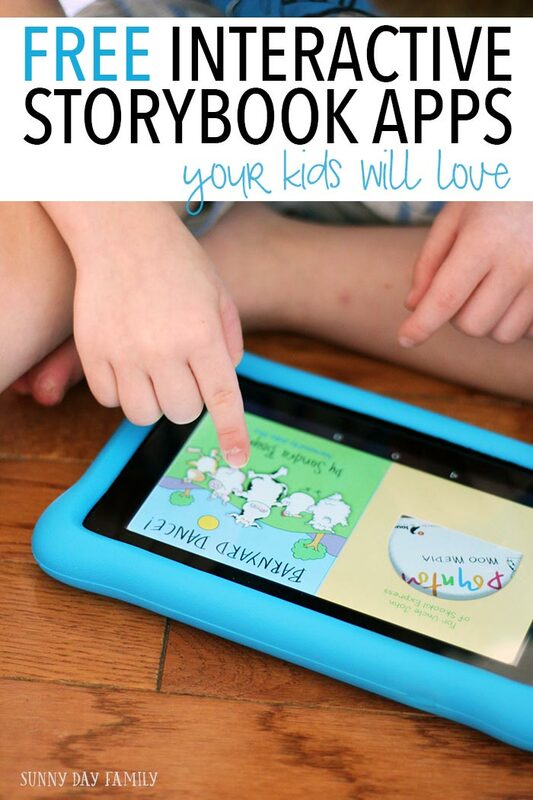 These story apps allow my kids to read along with some of their favorite books, explore the pictures and words, and engage with characters they know and love. Here are just a few of the many awesome free interactive storybooks you can find on Amazon Underground. Barnyard Dance by Sandra Boynton. Help the cow play the fiddle for the barnyard dance with this classic farm animal rhyming book. We're big fans of Sandra Boynton and you can find several of her titles for free in Amazon Underground, including: Moo, Baa, La La La!, The Going to Bed Book, and But Not The Hippopotamus. Goodnight, Moon. We all know it by heart, which makes it a great read along for little kids. Let them explore the great green room with an interactive version of the classic bedtime story. The Tale of Benjamin Bunny. Make the bunnies wiggle and romp in an interactive version of this Beatrix Potter classic. Busytown Mysteries. Richard Scarry fans will love to solve these fun mystery stories. Pick from The Missing Pirate Gold, The Mystery Present, and more! It's the Great Pumpkin, Charlie Brown. Just in time for Halloween, interact with the quintessential Fall story featuring the Peanuts gang. And you can find A Charlie Brown Thanksgiving and A Charlie Brown Christmas too! Where's My Monster? My boys loved this interactive story! Navigate through a house, opening doors and peeking under stairs and see if you can find your monster. A super fun read along. The Berenstain Bears Hug & Make Up. I've always loved the Berenstain Bears to teach gentle life lessons. This is one of our favorites! You can find more Berenstain Bears books too, including The Berenstain Bears Bedtime Battle and The Berenstain Bears Give Thanks. Little Critter Just Helping My Dad. I grew up with Mercer Mayer's Little Critter books and I'm so glad that they are available for my boys to enjoy too. This one is their favorite, and you can find it with other fun titles like Just Go to Bed, The Fall Festival, and All By Myself. These are just a few of the awesome interactive story apps you can find on Amazon Underground. Simply search the titles above or browse here for even more! Learn more about the Amazon Appstore, the Amazon Underground catalog of 100% free apps & games, and get access on your Android smartphone here. Which one will you try first? Leave a comment below and let me know!